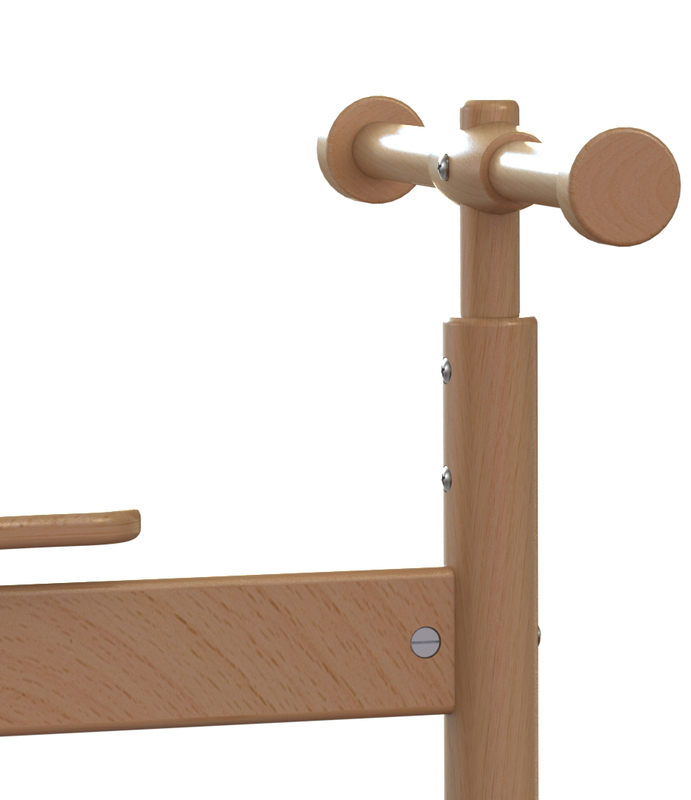 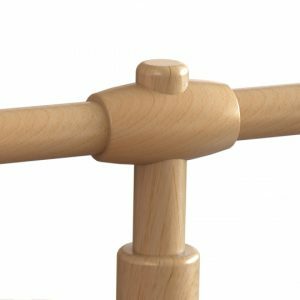 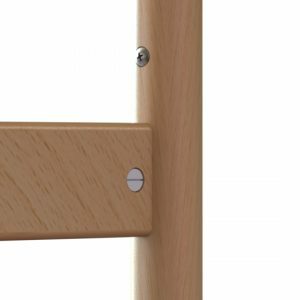 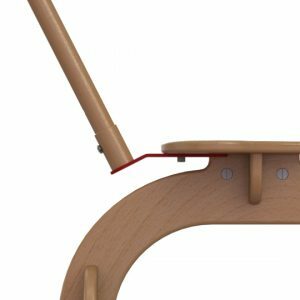 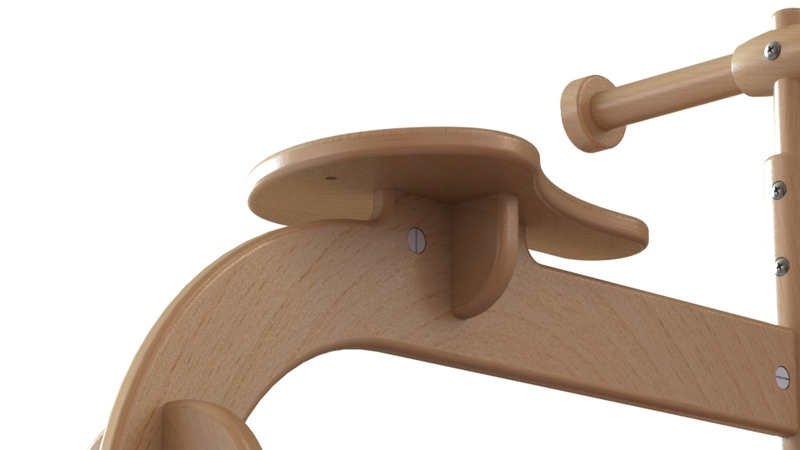 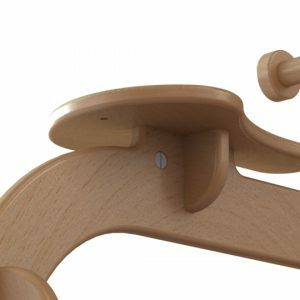 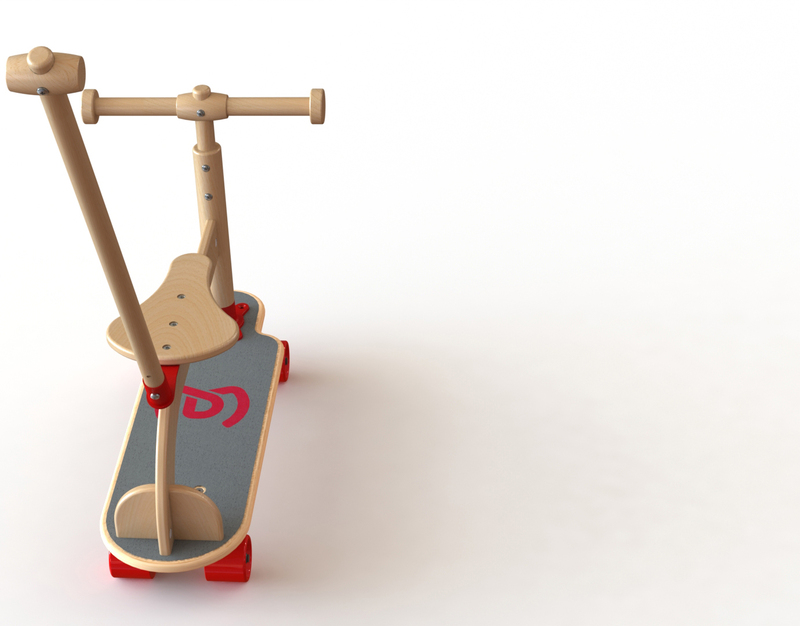 OTSBO is a multi functional transformable toy. 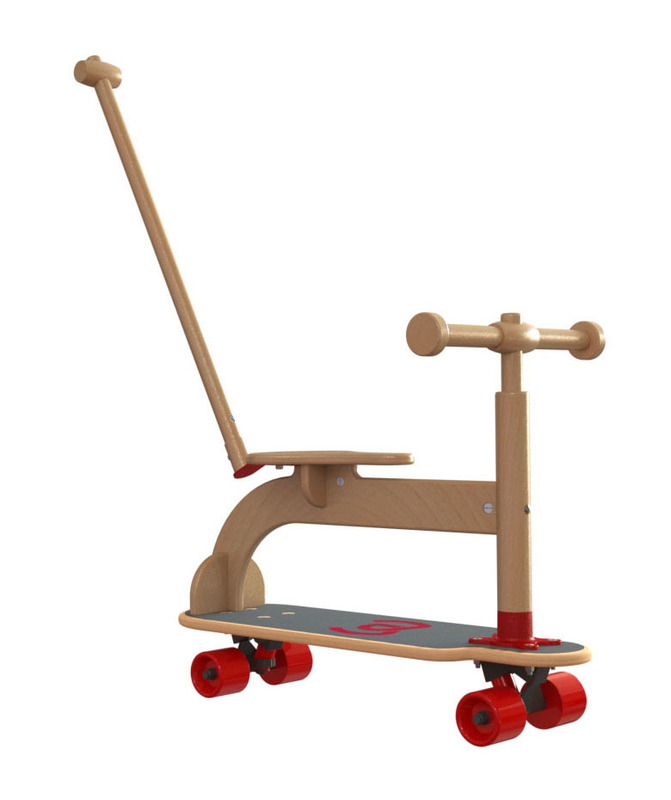 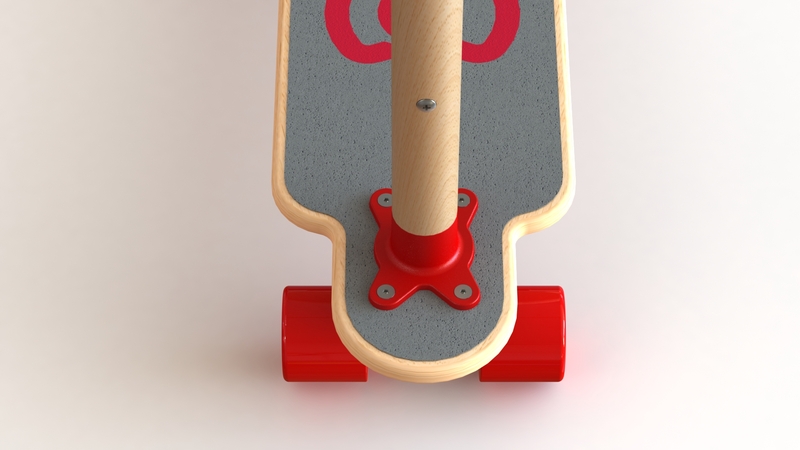 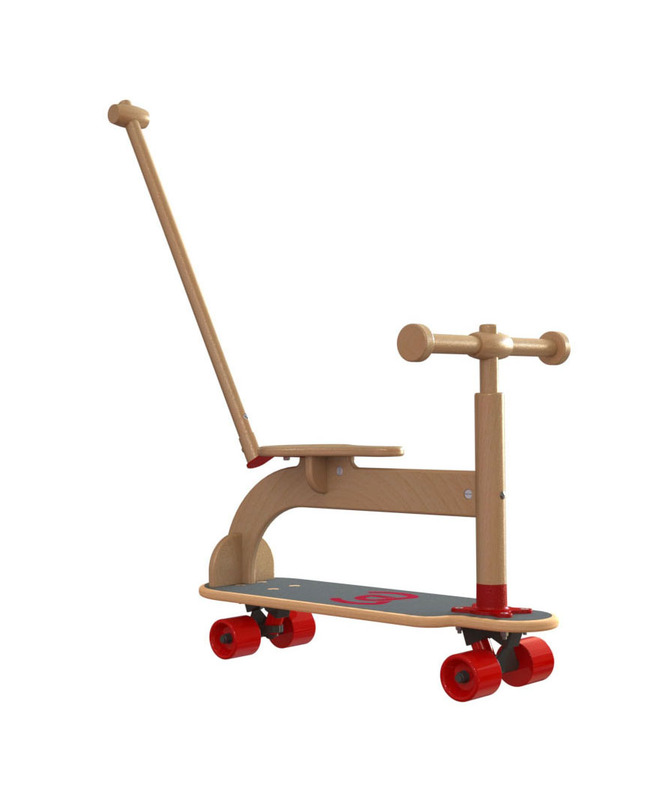 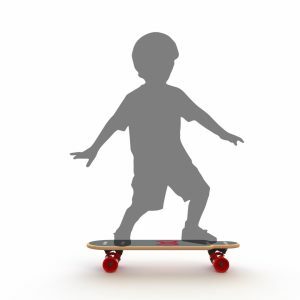 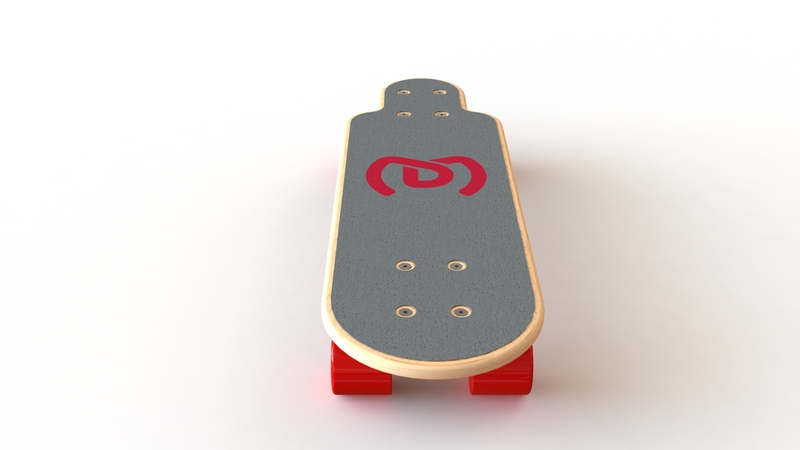 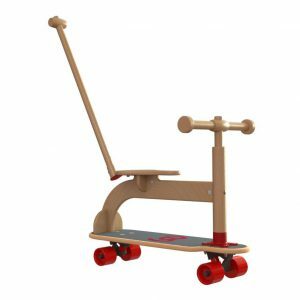 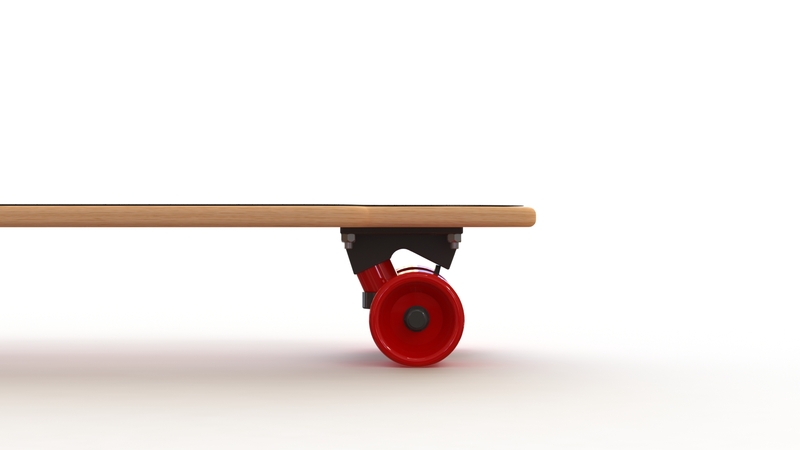 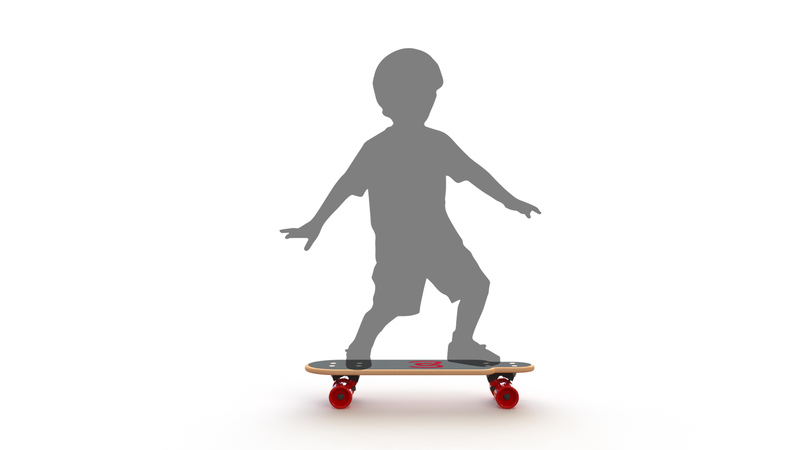 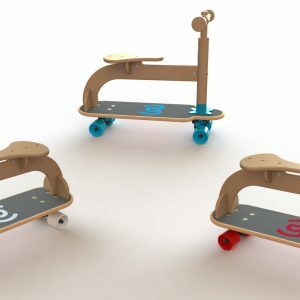 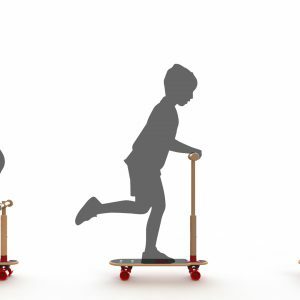 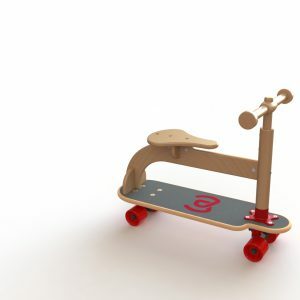 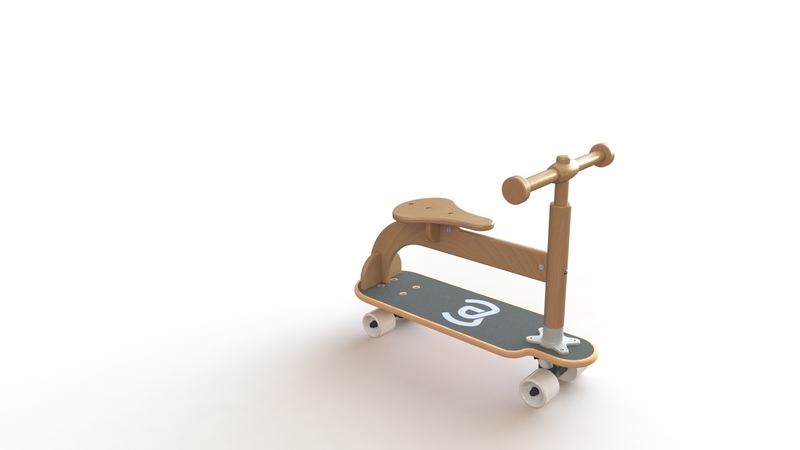 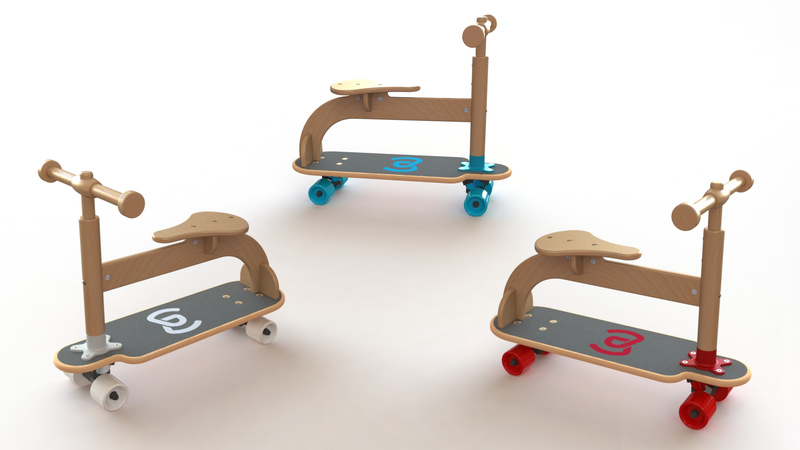 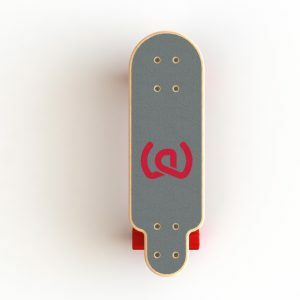 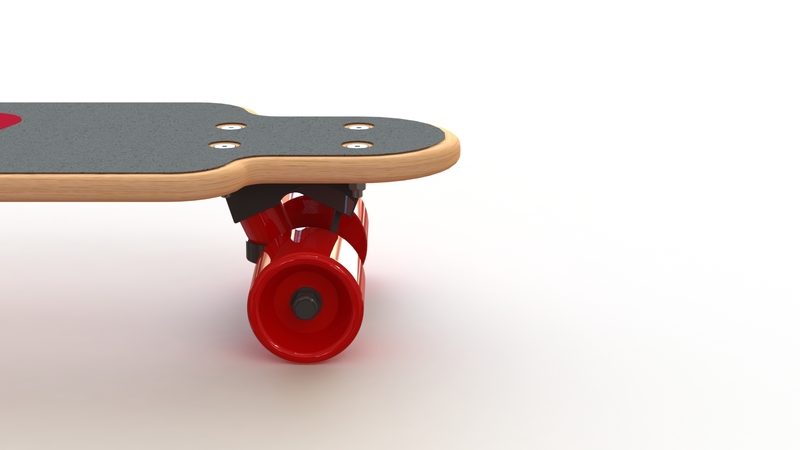 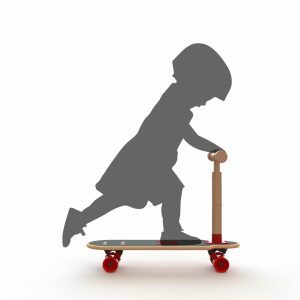 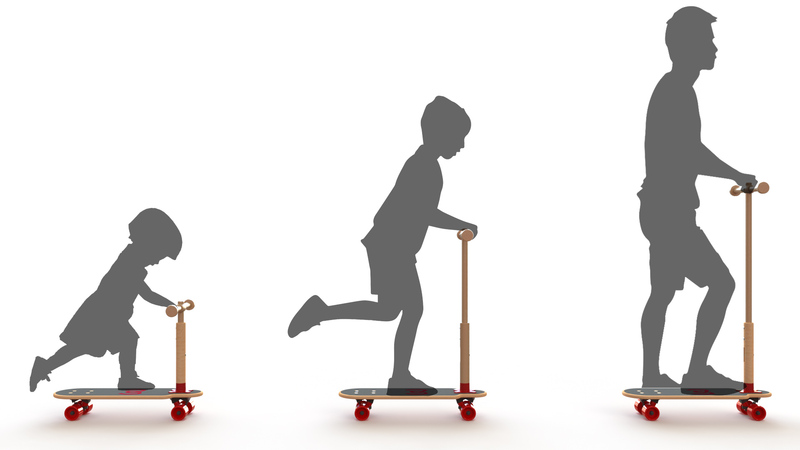 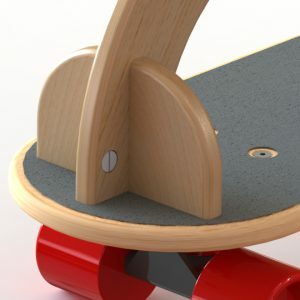 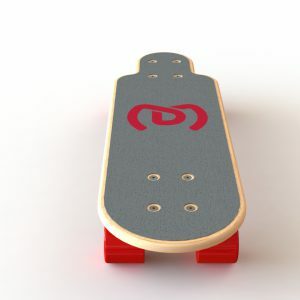 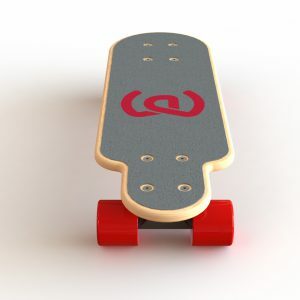 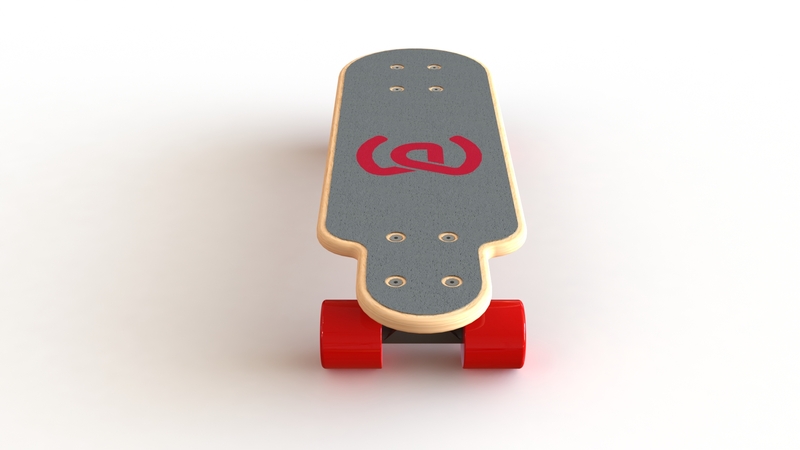 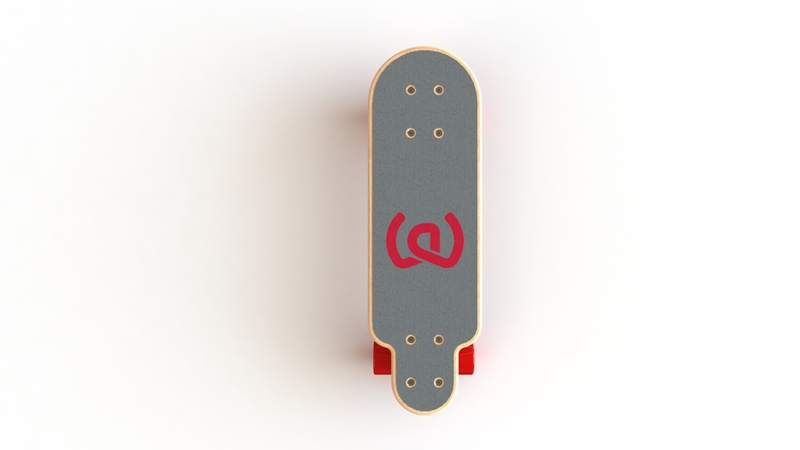 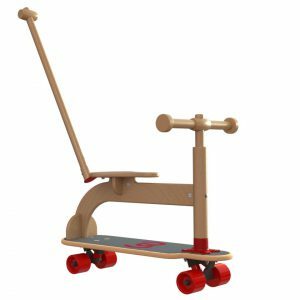 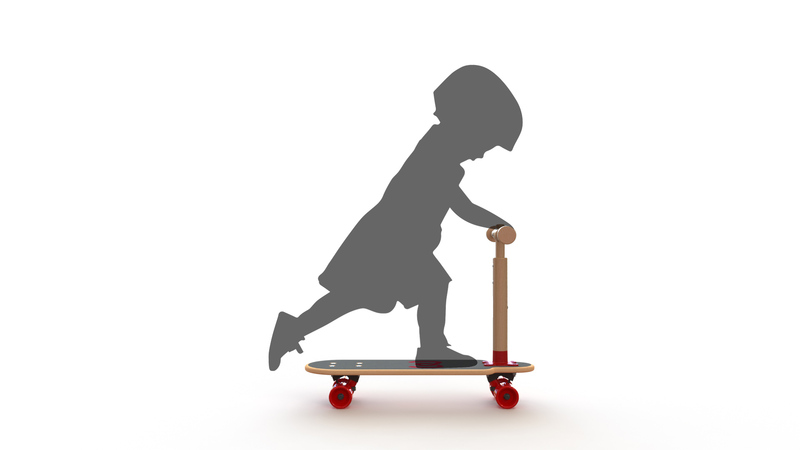 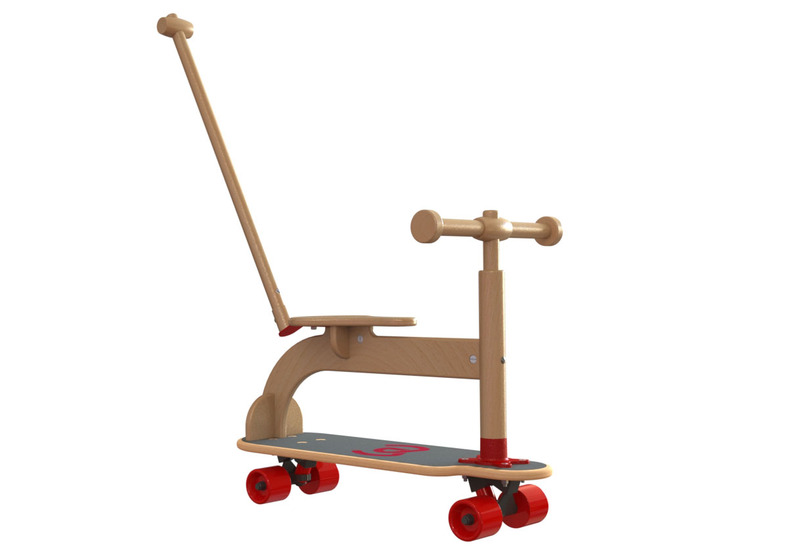 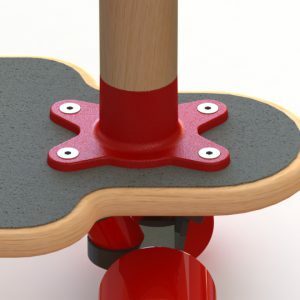 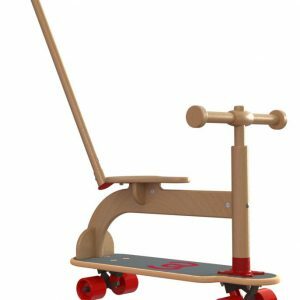 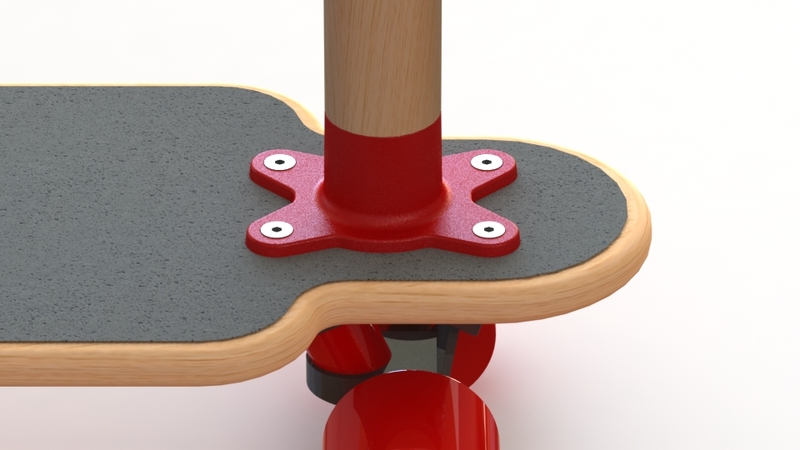 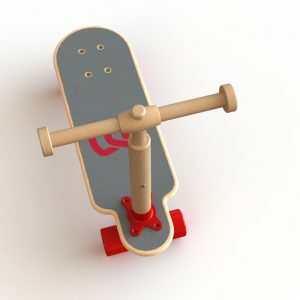 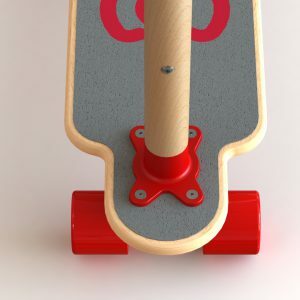 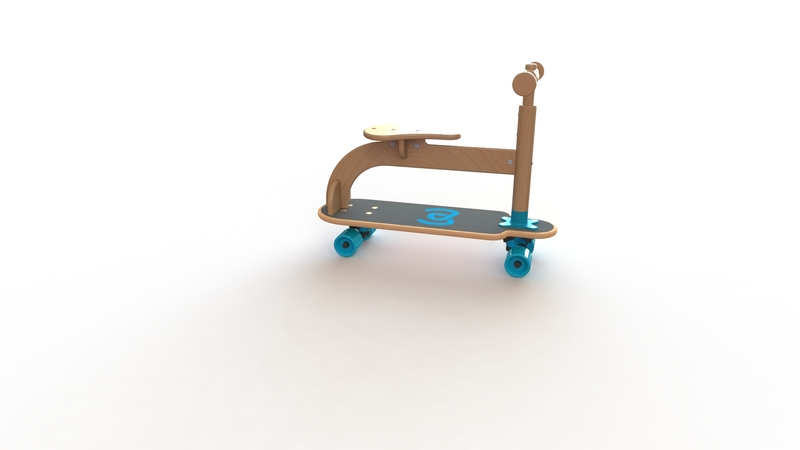 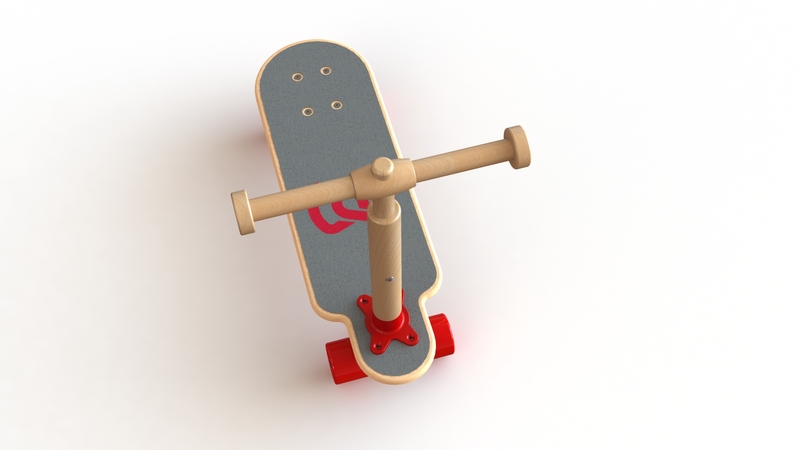 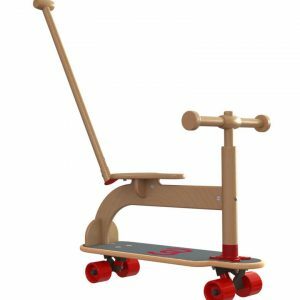 It has six different configurations and it is a first approach product for kids to the world of skateboarding. 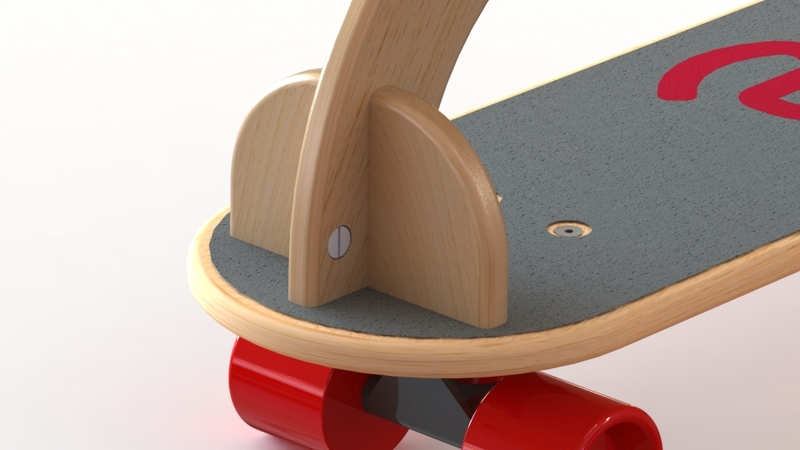 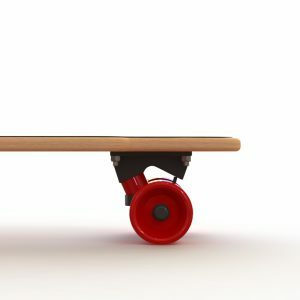 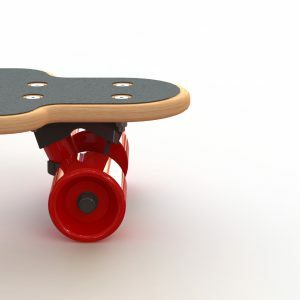 It is basically a skateboard with different accessories assembled on it. 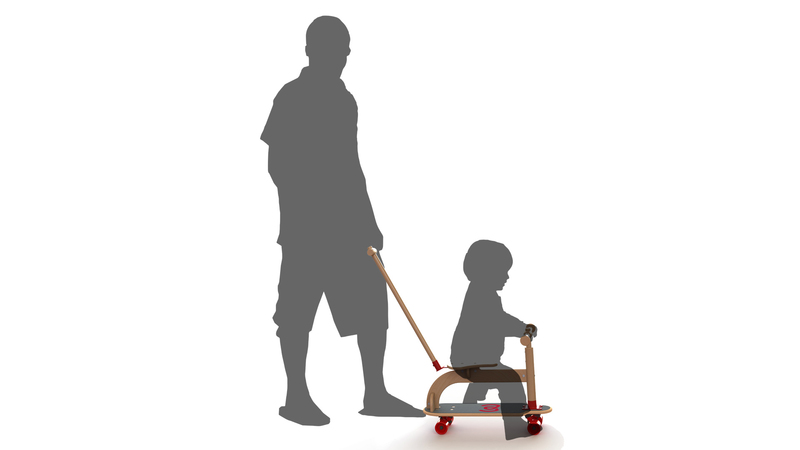 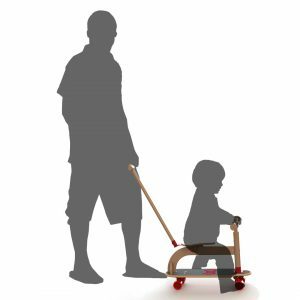 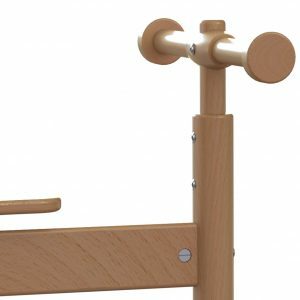 In it’s first configuration kids from 3 years old can be walked by their parents using the extension stick on the back. 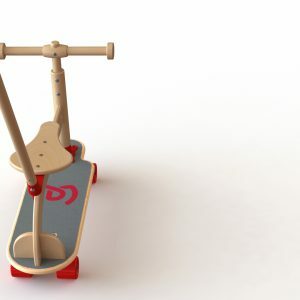 In the second stage it is simply used as a ride on toy. 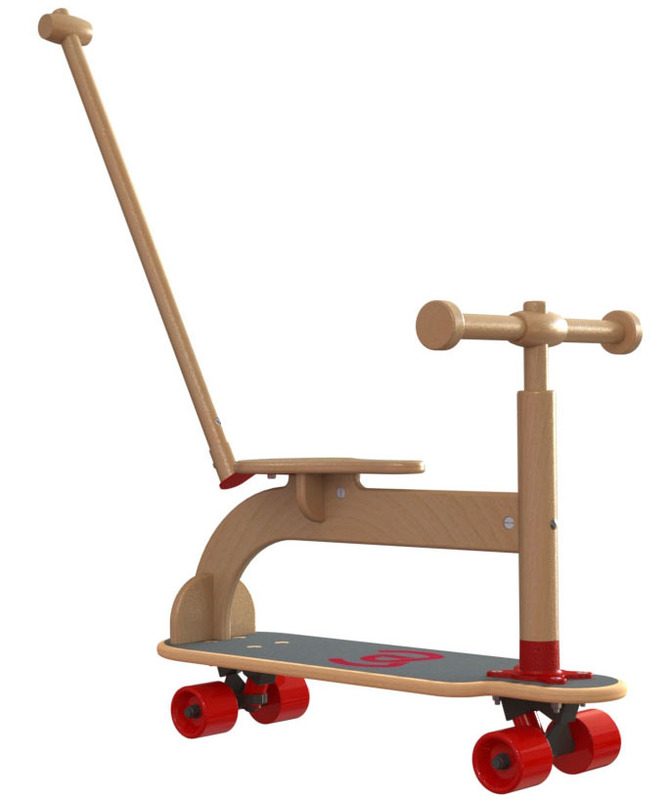 Following that the seat is taken away and it transforms into it’s forth configuration as a scooter with low steering handlebar. 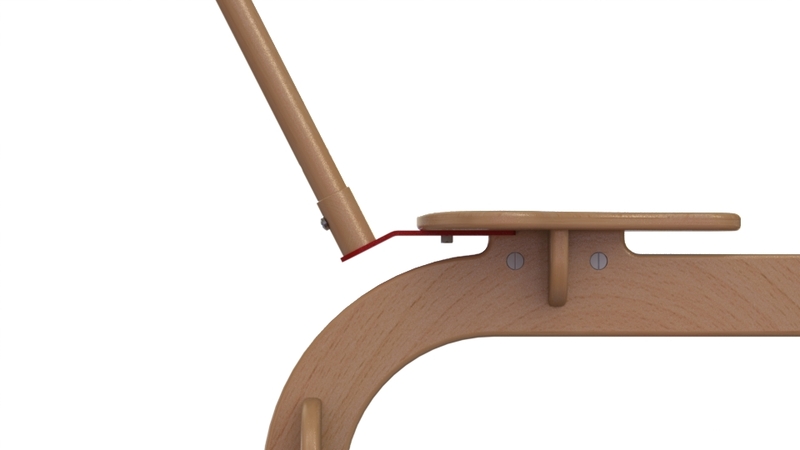 In it’s forth configuration the low steering bar is replaced with a high steering bar. 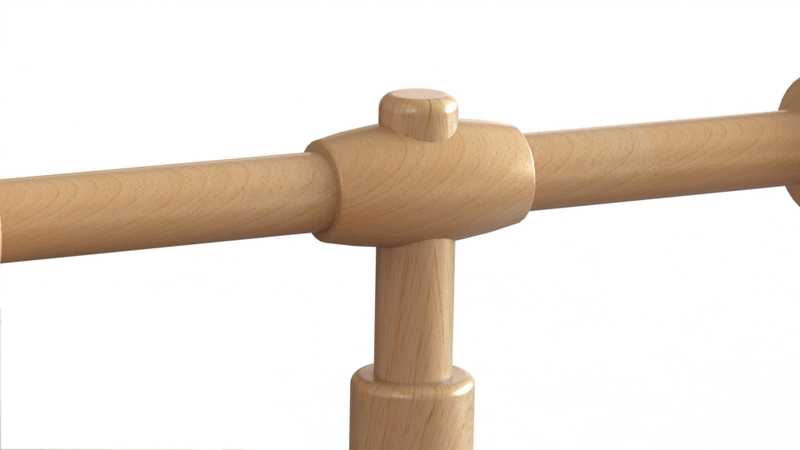 The fifth configuration is destined to big ones! 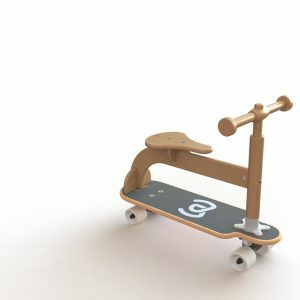 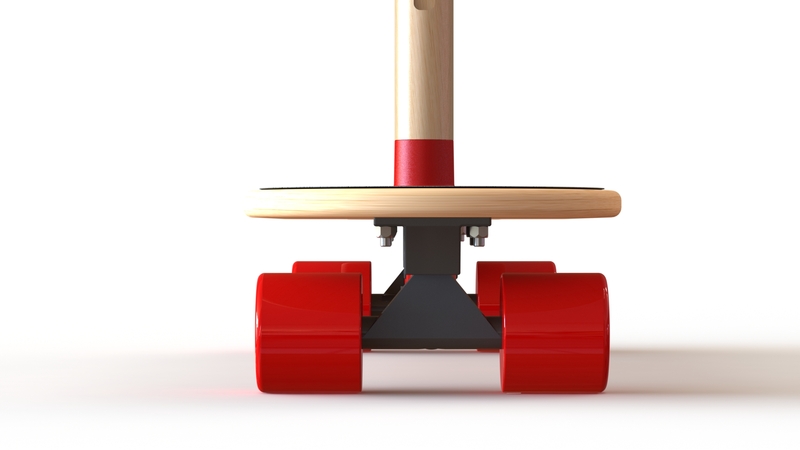 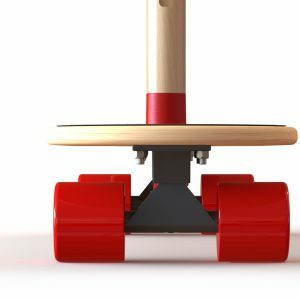 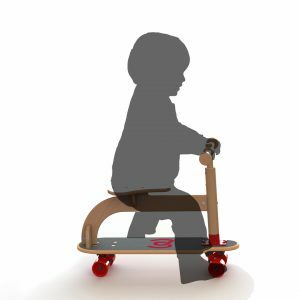 The extension stick is replaces the handlebar and kids uses it as joystick to steer the skate. 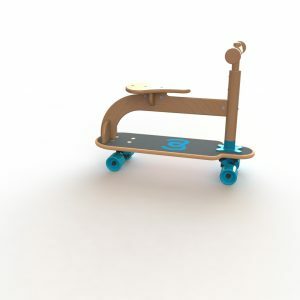 In it’s sixth and last configuration all the accessories are removed and OTSBO transforms into a long board style skateboard. 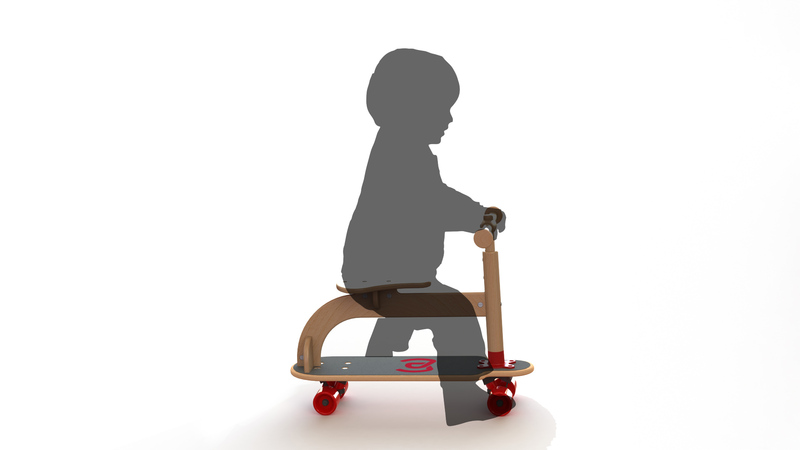 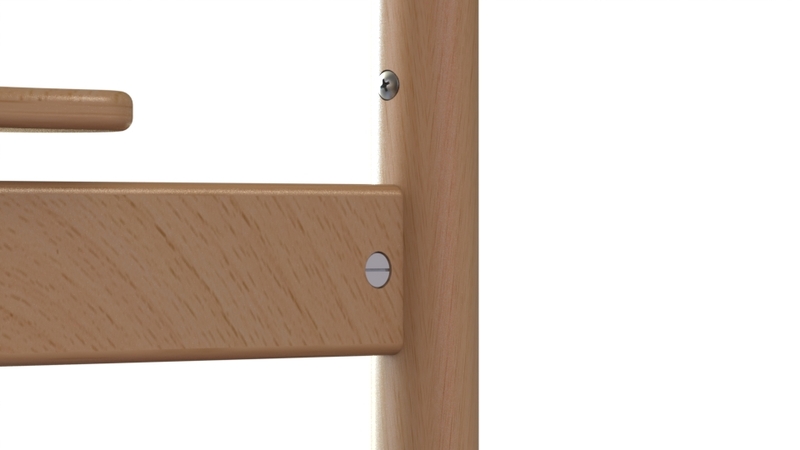 OTSBO can be used both indoor or outdoor, using of course protections.